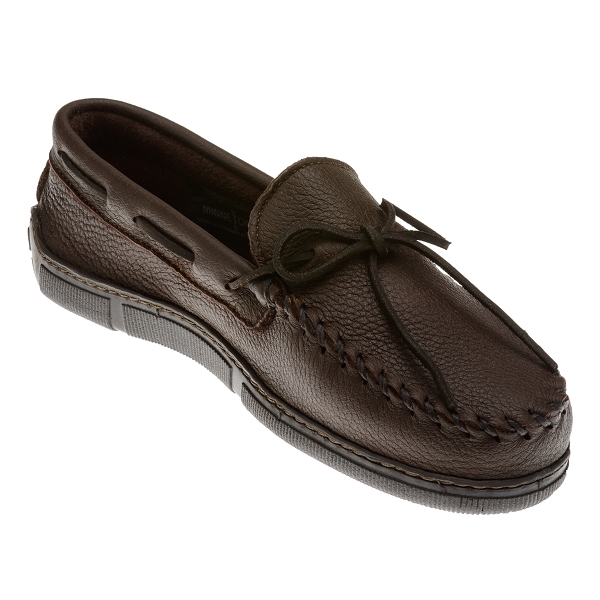 Minnetonka 0892 - Men's genuine chocolate moosehide moccasin with outdoor casual leather that's soft and supple with no break-in required. 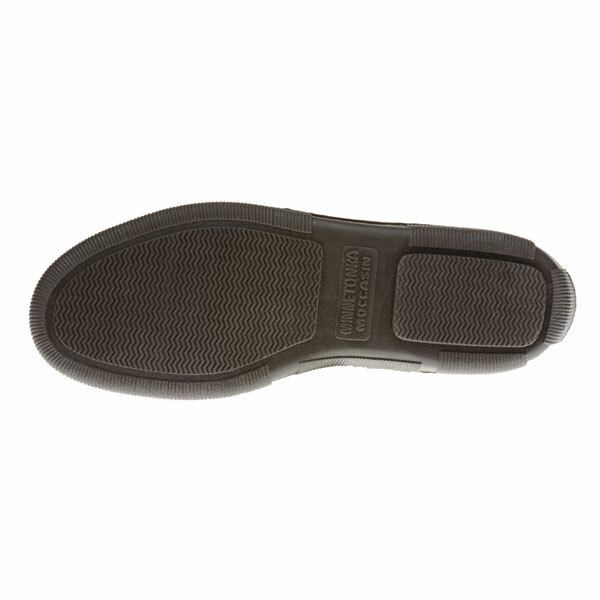 Fully padded insole with lightweight flexible rubber sole. Wraparound laces tie with a bow for a custom fit. Put them on your feet and ... relax. Other colors available. 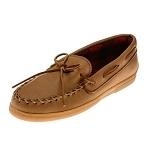 The moccasins needed no break in and feel good. Old time quality, reliability. . .they last and last. .. This is my 3rd pair. 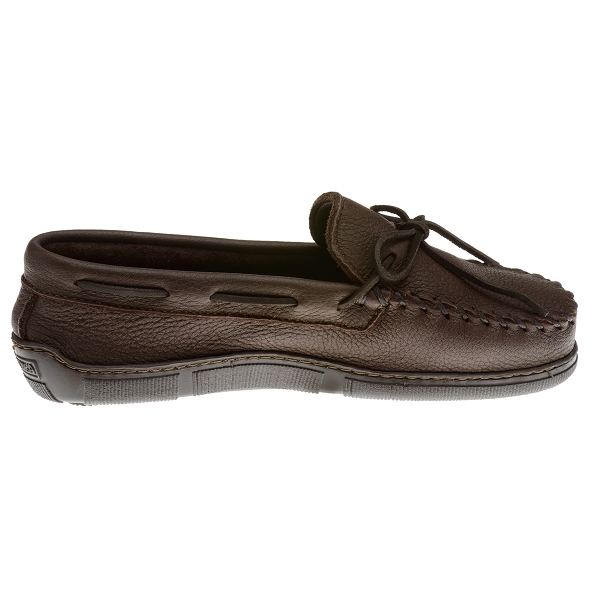 Can't be beat for comfort and wearability. Just love them. I have been wearing these mocassins for 15 years. 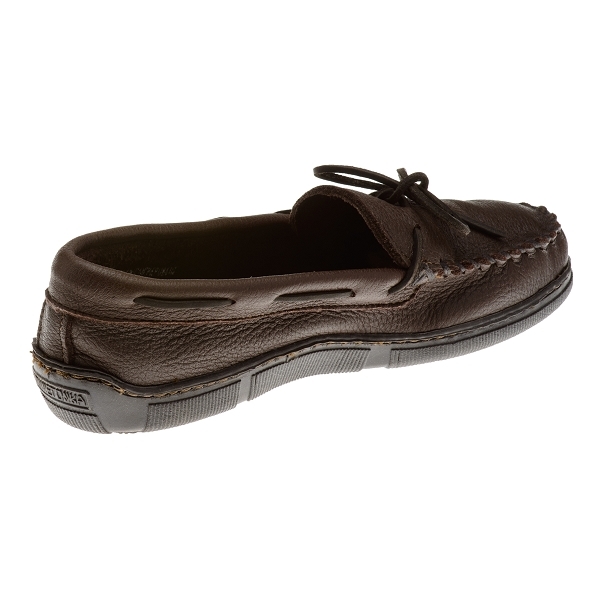 I wear them out and buy new ones. 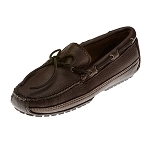 They are great shoes around the house that I can run out to the garage or yard with no worries. Always had to plan a trip to an Indian store to get them. 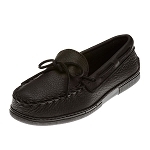 Love the website and how quickly I got my new mocs. 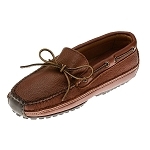 My husband's only complaint about these moccasins was that they do not stay tied. Other than that he's very happy with them: comfort, looks, and hopefully as durable as his last pair, which he has had for years. (They didn't stay tied either.) I'm very pleased with your customer service. The order came quickly & was correct. Fits great. Very comfortable around the house. Can't beat Moosehide. Great customer service.